I remember being a teenager and shopping for shoes with my mom. 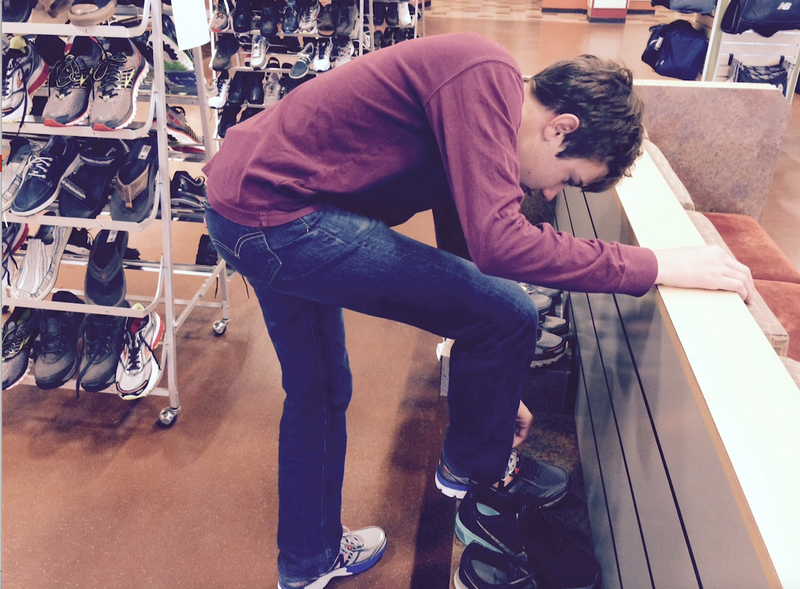 The shoe salesman wouldn’t know whether to talk to me since I wasn’t paying for them. I’d mumble something then he would bring two boxes, and he and my mother would stare at me as if I was something very difficult to read. Were they afraid I would snarl and kick my shoe off? I thought of this as I watched my teenage son trying on shoes in a store in Bloomington, Indiana. It was near the start of a two-week period I spent visiting my wife’s family in the Midwest. My son, still growing and unsure of how the world will fit around him, finally found some sneakers he liked. Then his mom told him it was time to go. Southern Indiana was hot and muggy in July and the backyard of my in-laws house, normally the home of white-tailed deer, was empty. We were told they typically flee when they have guests. Disappointing. We made two trips out of town. One was to a 19th century mill, south of town, and another to a mansion in nearby Columbus. 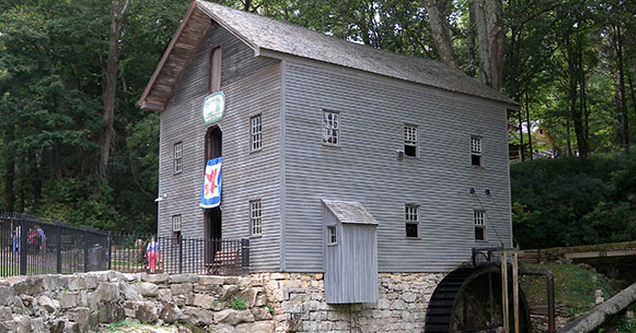 The Mill was in the hilly, tree-covered country that makes southern Indiana a part of the South. In the northern part of the state the accents are as flat as the farmland. Here the words are bent and in a way would look baroque if you could see them. We got a tour of Beck’s Mill that still has two millstones that were turned by the water that came out of a cave in a hillside. Our tour guide looked like a queen. She was tall, straight and beautiful though she must have been 75 years old. Her face shone with a smile as she spoke in her splendid drawl and showed us the history of that gray barn, which ground corn downstairs and turned weaving machines upstairs, all powered by water. Some of the corn was made into whiskey back in the day. The next day we saw a mid-century mansion owned by the Millers, the industrialist and philanthropic family of Columbus, Indiana who ran Cummins Engine Company. The house had a conversation pit and floor-to-ceiling windows surrounding the place. The interior of the house was frozen in time (they lived there in the ’60s) with its carpeting, sleek furnishings and the purple couch in the master bedroom parlor. Our tour guide was a local woman. Plump and cheerful, she spoke like a woman who must have socialized with the Millers at the country club. The place is now owned by the Indianapolis Museum of Art. We drove to Ames, Iowa after stopping in Moline to see my brother. Pete and Rae are my in-laws and they live in Ames. They sit on the couch and read every evening while listening to classical music and visiting them was like visiting grandparents. We spent five days in Ames and it was more than enough. I never fell in love with my wife’s hometown. It’s flat and homely with architecture that fits the plain Midwestern look of the place. But Ames is surprisingly prosperous and has, according to Pete, the highest property values in the state. The people are handsome in the way you’d expect of those who live on the right side of the tracks. I grew up in a small town a lot like Ames or Bloomington; a college town with new people coming and going but — when you live there — a small town all the same. When you hire a contractor to work on your house you don’t just know him. You know his wife and your kids know their kids. If they have grown kids you know that their son George recently got married and moved out to Denver and you ask the contractor how his son’s doing out there. 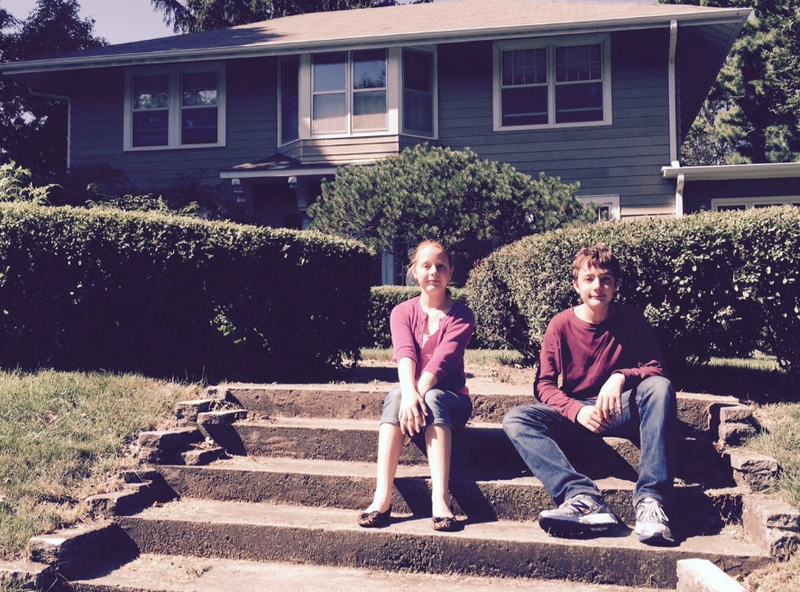 Sophie & Nicholas in front of the house I grew up in. The places we visited were the places I spent the years of my youth. The humidity, the green landscape with its forests and endless acres of farm fields are memories that get more and more distant. Going there used to feel like going home but it doesn’t anymore. Finally we got to Minnesota, where we would stay in an Air B&B and get a flight home. I lived there for 17 years. Minnesotans are kind but not outgoing and not eager to talk to outsiders. Minneapolis is flat and covered with a uniform grid of streets. It’s a great place to bike because you can get places on side streets. They’ve got a light-rail system that takes you to places you really want to go. There are small neighborhood meat markets. 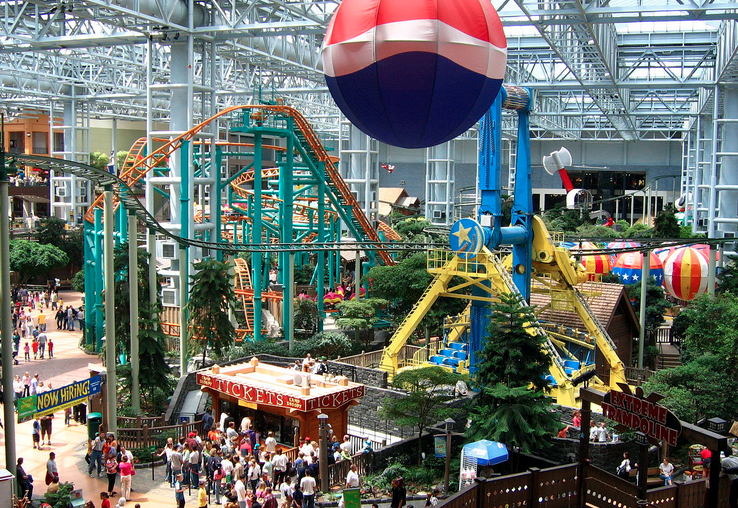 And did I mention the Mall of America? I visited the new stadium of the St. Paul Saints baseball team and ended up in the office of owner Mike Veck, a swaggering showman who insisted I be let into his new ballpark for a look at it after the receptionist told me no. Our last night there, Karen and I had dinner with old college friends of mine, Marita and Jeff. They were both at our wedding. Jeff was the best man. They were cheerful and never ran out of things to say, happy exceptions to the general rule of Minnesotans being withdrawn. Then I came back to San Diego. My kids may imagine there being better places, but I know this is home. There are other places that used to be home for me, but not any more. God willing, I’ll leave San Diego when I die. This entry was posted on August 10, 2015 at 4:19 am and is filed under Uncategorized. You can subscribe via RSS 2.0 feed to this post's comments. You can comment below, or link to this permanent URL from your own site.